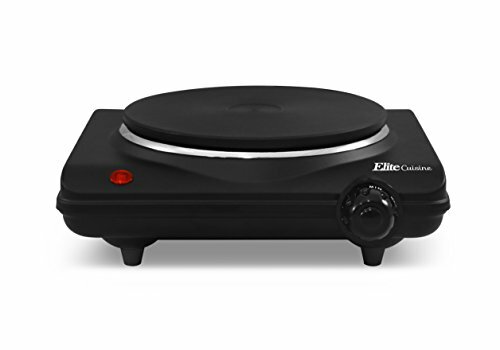 Cooking is quick, easy and consistent with the Elite Cuisine Electric Single Buffet Burner. 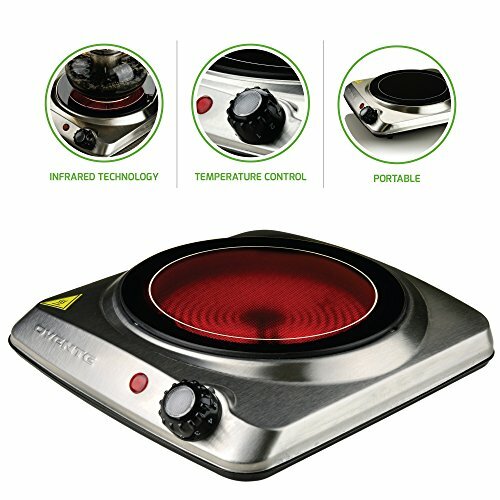 This portable electric hot plate offers reliable heating and takes up minimal cooking space. 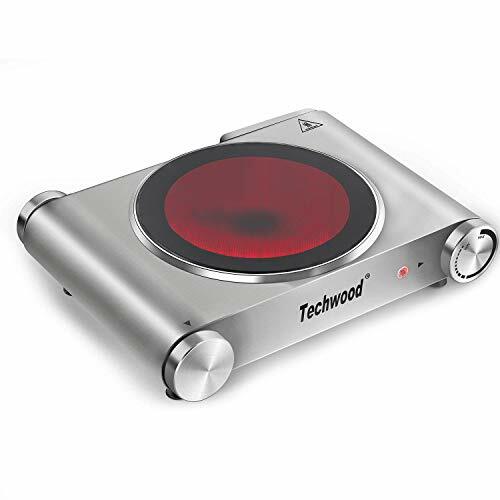 At 1,000 watts, it heats up quickly with an adjustable temperature knob. 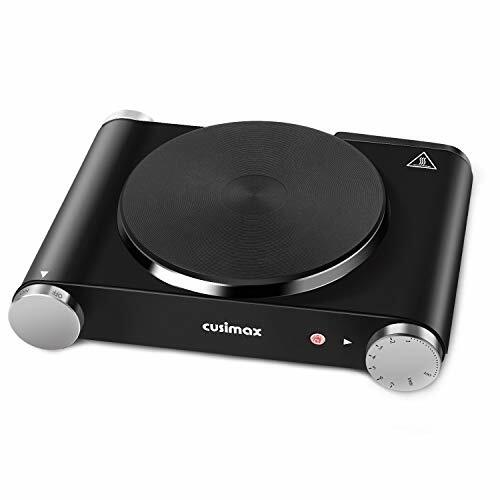 The non-stick cast iron hot plate will ensure even cooking and makes clean up a breeze. It features adjustable temperature control with Off, Warm, Low, Medium, and High settings. 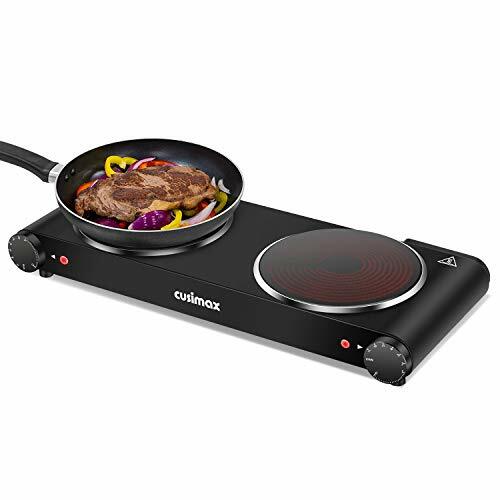 The heavy duty cast-iron flat heating plate is easy to clean. The cool-touch base and non-skid rubber feet for stable cooking. It's perfect when you need an extra heat source for holiday cooking and entertaining, or simply use it to keep food warm at a buffet station. A compact and powerful appliance that saves valuable counter space. 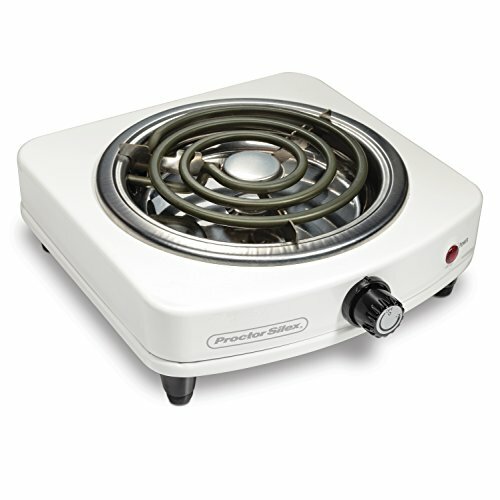 The Proctor Silex electric burner is a powerful and convenient portable burner. It is small, saving you valuable countertop space. 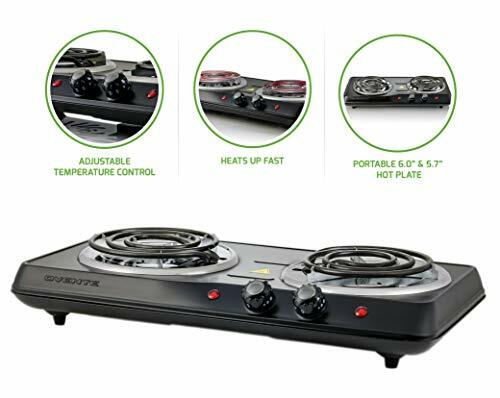 An electric burner is perfect for vacation cabins, small apartments, and also provides an extra cooking surface for feeding a large Group. 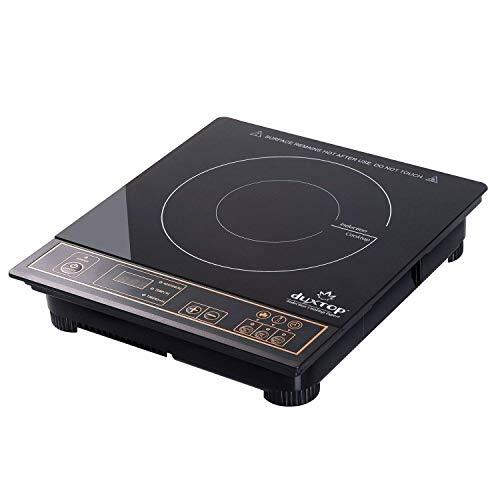 Proctor Silex electric burners are affordable and sturdy appliances providing quick and sustained heat with an easy-to-use temperature-setting knob with low, medium, or high settings. 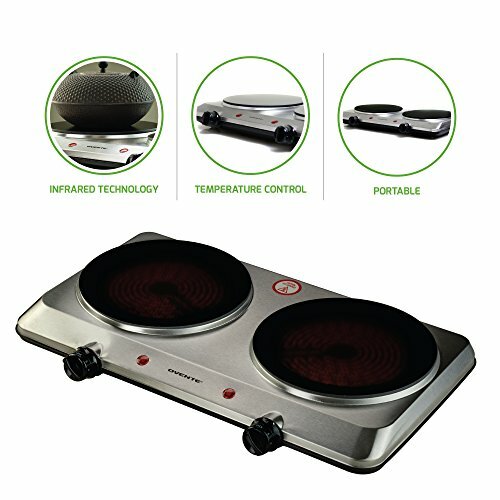 The burner is also easy to clean, just wipe the chrome drip pan quickly and effortlessly. 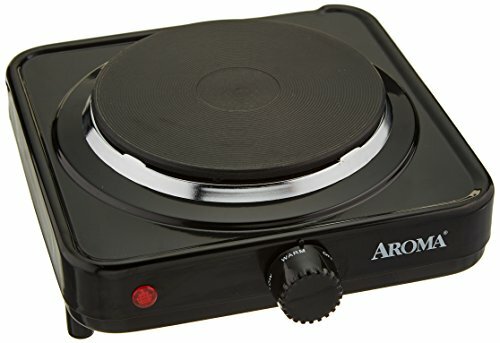 Extend your kitchen with the aroma single burner hot plate. 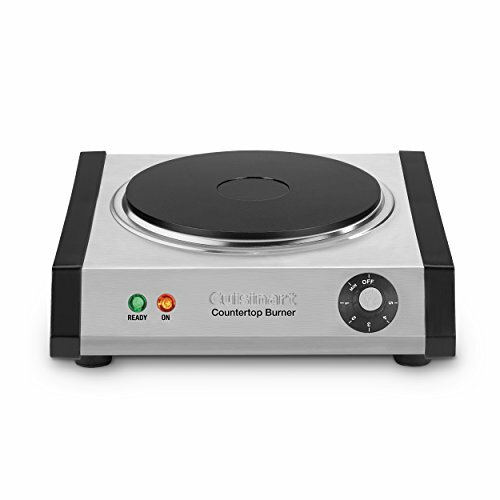 Powerful enough for entertaining large groups, compact enough for making lunch at the office and portable enough for camping on the beach - this burner adds flexibility to any kitchen! 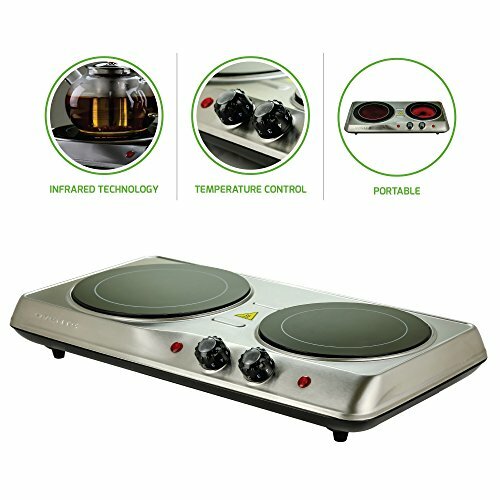 Choose from 4 temperature settings to cook and serve any dish. With its die-cast metal construction you can expect extra durability even through continuous use. And when cooking is done, the cooking surface wipes down for easy cleanup. 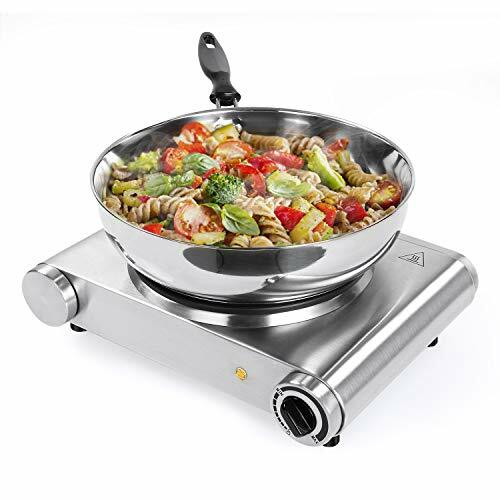 Description: The Sunavo multipurpose hot plate is the ideal cooking utensil for daily use. It is ideal for student accommodation, office use, camping, parties, RVs and traveling. Its compact design allows it to be stored away when not in use. The plate's stainless steel body is easy to clean and can withstand long -term use. 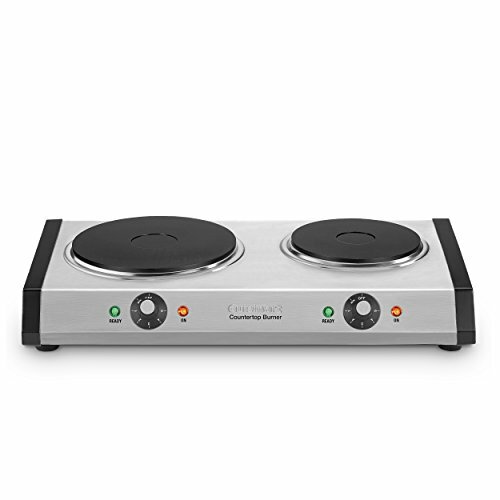 The hot plate also features an auto shutdown function for additional safety. 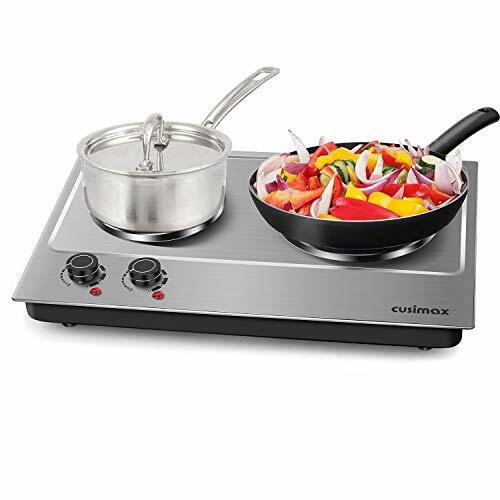 1300-watt large burner (7.5 inch diameter) for cooking or boiling water, and a 500-watt small burner (6 inch diameter) for simmering or warming. 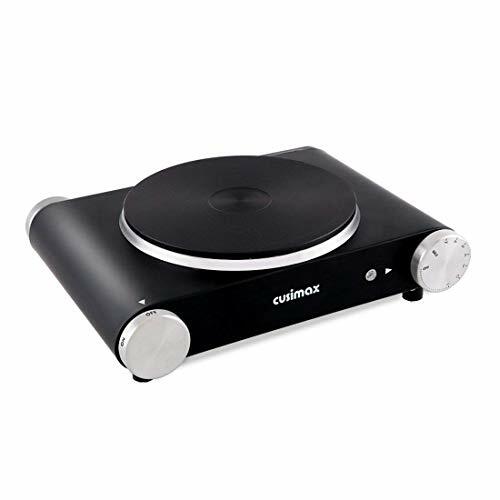 Durable cast-iron plate, brushed stainless steel housing, built to last. Two individually adjustable thermostats, and heating indicator lights. Cool touch handle, easy to lift and move around. 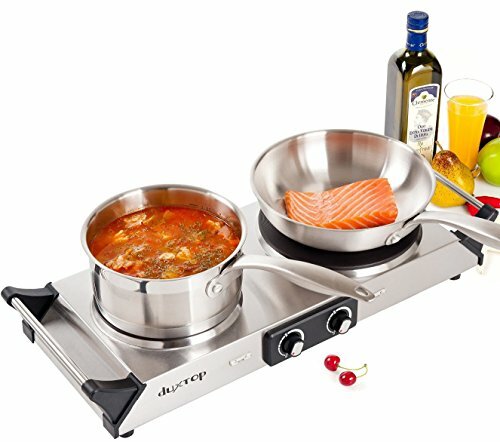 Dual heating plates, yet small footprint, saves countertop space. Product Built to North American Electrical Standards, 120V. ETL approved, 2-year Manufacturer's Limited Warranty. 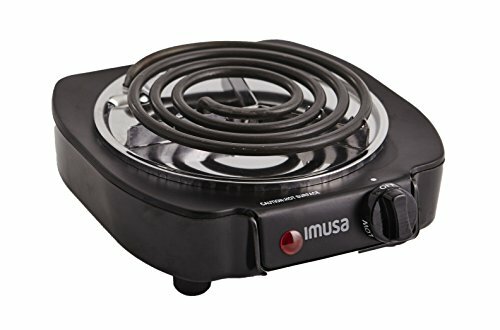 Compare prices on Hot Burner at LiveSaler.com – use promo codes and coupons for best offers and deals. We work hard to get you amazing deals and collect all avail hot offers online and represent it in one place for the customers. Now our visitors can leverage benefits of big brands and heavy discounts available for that day and for famous brands. We try to makes comparison shopping easy with Product Reviews, Merchant Ratings, Deal Alerts & Coupons. Find Deals, Compare Prices, Read Reviews & Save Money.